Hotel Indigo Gaslamp Quarter is the first LEED certified hotel in San Diego (only 19 in the U.S). It boasts 12-stories of sustainable green building design. Head straight up to the ninth floor to find a serene meditation deck, which, in addition to the hotel’s Phi Terrace Bar, is the world’s first installation of MoistureShield composite decking made from recycled polyethylene plastic and recycled wood fibers (i.e., grocery bags, milk jugs, byproduct from furniture/cabinetry making, etc.). You’ll also find locally-inspired artwork decorating the hotel, including a 40-foot glass sculpture called “Indigo Waters” affixed to the western facade of the hotel between the ninth and twelfth floors. Large-scale photographic murals of native plants and water-driven images, such as agaves and the Pacific Ocean, embody the guest rooms and public areas adding to Hotel Indigo advanced aesthetics. What else makes me want to go here and stay forever? Hotel Indigo takes recycling to a new level. Equipped with a green roof, which is covered with drought-tolerant plants, reduces energy consumption by cutting the need for heating and air conditioning and will contribute to lowering the urban heat island effect. Reserved parking spaces and parking discounts for guests who drive low-emitting and fuel-efficient vehicles. Hotel Indigo’s stylish, inviting design is inspired by the Fibonacci sequence, a universal design constant found throughout nature, art and architecture. Adopting this mathematical ratio as a design principle creates a perfectly-balanced urban oasis of effortless beauty in the heart of downtown San Diego. Electric cars are for dorks. So glad I’m a dork. Savvy cyber-thieves made millions by fraudulently obtaining European greenhouse gas emissions allowances (also referred to as carbon credits) and reselling them. 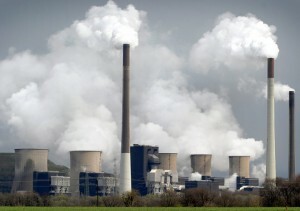 Under the EU’s (European Union) Emission Trading System, companies which are large emitters of greenhouse gases are required to have enough of the greenhouse allowances to cover the CO2 they release each year. Firms are free to trade their credits in an open market, similar to the stock market. The idea is to use market mechanisms to reduce greenhouse gas emissions, as the scheme gives firms an economic incentive for companies cut their CO2 production. How’d the thieves do it? On January 28, 2010, hackers launched a targeted phishing attack against employees of numerous companies in Europe, New Zealand, Germany, and Japan, which appeared to come from the German Emissions Trading Authority (DEHSt). The workers were told that their companies needed to re-register their accounts with the Authority, where carbon credits and transactions are recorded. It is estimated the hackers stole 250,000 carbon credit permits from six companies worth more than $4 million. At least seven out of 2,000 German firms that were targeted in the phishing scam fell for it. One of these unidentified firms reportedly lost $2.1 million in credits in the fraud. The fraud is the latest example of hacks aimed at gaming environment controls. A year ago, hackers penetrated the Brazilian government’s quota data for Brazilian rain forest products — allowing the illegal poaching of more than 1.7 million cubic feet of timber.